Fall 2016: We no longer promote the user of Firefox with add-ons, as the solution can be insecure still and easily misconfigured. Please use our new Orfox browser for Android, based on Tor Browser. The latest releases of Firefox on Android are proving to be very usable, stable and an increasingly viable alternative to the built-in webkit browser. However, it unfortunately lacks the ability to manually configure proxy settings through any sort of standard user interface. This is a common problem for Android, which also lacks the ability to set browser or system-wide proxy settings. 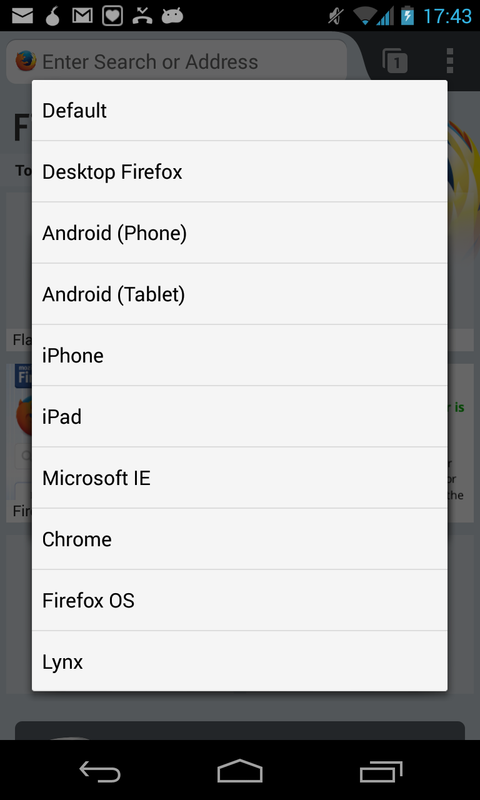 To solve this problem, we have created a very simple Firefox add-on Proxy Mobile that exposes the Firefox browser’s proxy settings through a simple, graphical options menu. 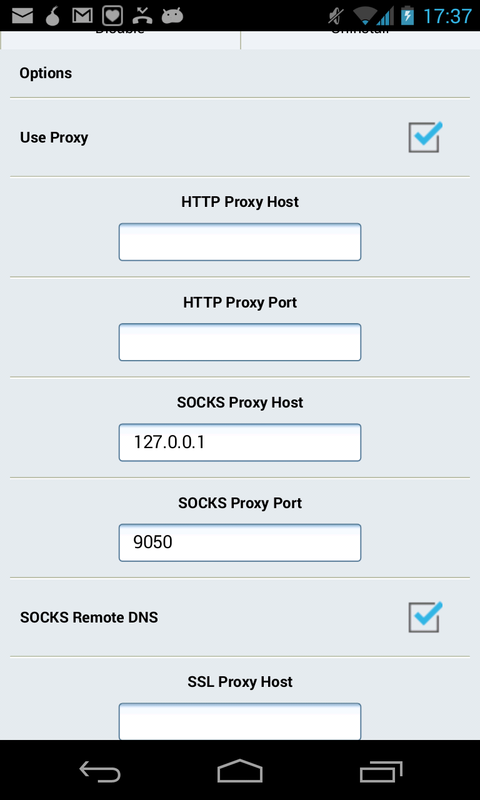 This means any user can easily set the HTTP and SOCKS proxy settings for Firefox, enabling access to web browsing on networks which require a proxy to access the web. This also means that users can connect Firefox to Orbot on Android devices and browse the web using the Tor network or any other HTTP or SOCKS proxy. Simply proxying through Tor is not the same as the full TorBrowser feature set, and does not provide any strong anonymity protections against directed attacks. That said, there are many things you can do to configure Firefox for Android to be more privacy-preserving and secure. or go to firefox.com/m in your phone’s web browser. or download the Firefox APK file directly from the Mozilla FTP server. Then follow the 10 steps below to enhance your mobile web privacy! Use Mobile Private Browsing which “allows you to browse the internet without saving any information about which sites and pages you’ve visited”. Learn more in this detailed article. In Firefox Settings, set “Plugins” to “Disabled” under the Content section. 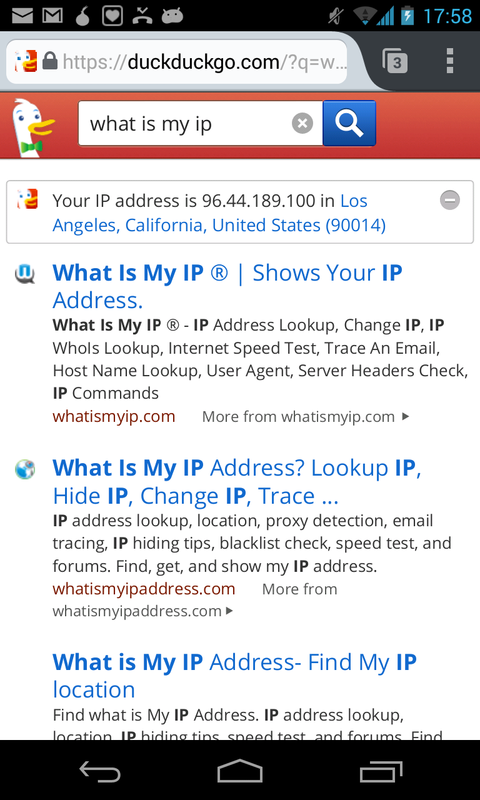 Also under “Privacy & Security”, set Tracking to “Tell sites that I do not want to be tracked”. If you want the browser to remember your passwords, make sure to “Use master password” to secure them. Obviously, if you haven’t done so, already, install ProxyMob to proxy your traffic through Tor, protecting it from logging, interception and targeting. INSTALL ADD-ON. It requires that Tor is already running, so make sure to get Orbot: Tor for Android and turn it on. ProxyMob will have all of the settings configured automagically. To test that it’s working, goto check.torproject.org and look for the congratulations message saying that it’s configured properly.